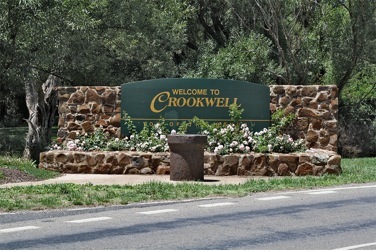 If you got an intense love for potatoes, Crookwell is the ideal town for you. Cultivating spuds since 20th century, they have elevated taters into a different level by commemorating potatoes every 5th of March – Crookwell Potato Festival. Crookwell Potato Festival does not only celebrate potatoes but it also features live bands, kid’s fest, car, bike and railway displays, an enormous indoor and outdoor markets. There is always something for everyone. If you are history buff, visit Book Keepers Cottage, built during 1861, it is a best example of a well preserved wattle and daub house. It was used to tally gold before transporting gold to other places. For a nature lover, See the beauty of Markdale’s Garden or Edna Walling Garden, named after the pioneer of Australian landscape gardening. Built in the 1920’s and re-designed in 1949 by Edna Walling. 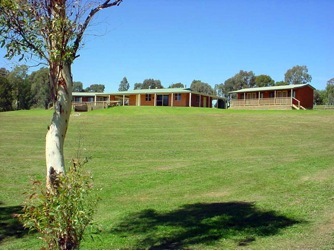 Markdale’s Garden is is recognized as one of the great country gardens of Australia. For someone looking a place to pause and rejuvenate, away from the noise of the city, Grabine Lakeside State Park has a massive land area of 800 hectares. Where the waters of Lake Wyangala gently welcomes the slope and granite boulders at the eastern boundary. One can just let their senses feast the spectacular view of Grabine and Lake Wyagala or be one with nature and enjoy different activities this park has to offer. Five minutes from Crookwell’s town centre, get introduce to a remarkable animal – Alpaca. Alpaca Products Australia is a working Alpaca farm. They will allow you to get close to these calm animals. Or go to a farm of a different kind – The Crookwell Wind Farm . They have eight 45 meters high wind turbines, and was the first grid-connected wind farm in Australia and was built by Pacific Power in 1998. Now, Land Rover enthusiasts from Crookwell can drive to Roverworks to have their trusty Landys for servicing or even a quick check up!